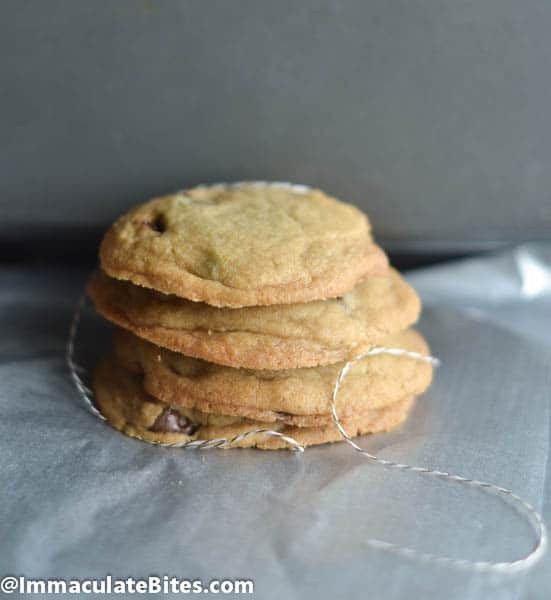 Perfect Chocolate Chip Cookies – addictive yummy cookies adapted from Cook’s Illustrated recipe with a personal touch using rich brown butter for that crispy butter edges and soft center. I never liked eating cookies. No, I am not a cookie snob just did not grow up eating American cookies. I tried so hard to like them because they were everywhere, but who could fault me…. store bought cookies were all I ever tried. Don’t get me wrong some store bought cookies are ok; however, if you want to introduce someone to cookies. 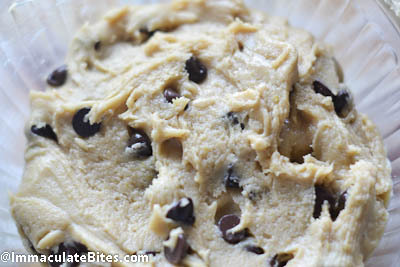 Mass produce cookies should not be the first place to start. Not to talk of the staggering amount of calories in the cookies. Enjoyment should be the number one priority for eating anything! Right? Everything changed, for me, when my niece and nephew begged me to make some home baked cookies. I reluctantly agreed to this, because I thought they would forget about home baked cookies, after a visit to their favorite bakery . Wrong! 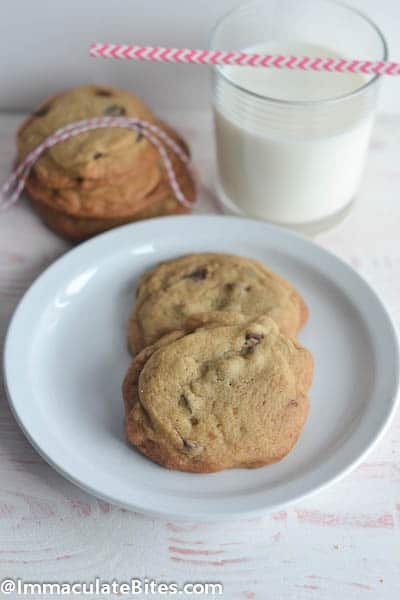 After perusing through my favorite cookbooks, the first cookie I started with was “Joy of Cooking” Chocolate Chip Cookie and thought, “Hmm… chocolate chip cookies are not bad after all”. In fact, they are quite addictive! Ever since then I have been on a cookie binge, but had to slow down . You see, my hips can only take so much and the Culver City stairs are killing me. 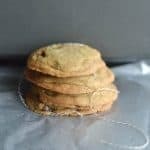 My recent discovery and the best so far is “Cooks Illustrated”, Perfect Chocolate Chip Cookies, but, I eat them in moderation and I hope you do too. 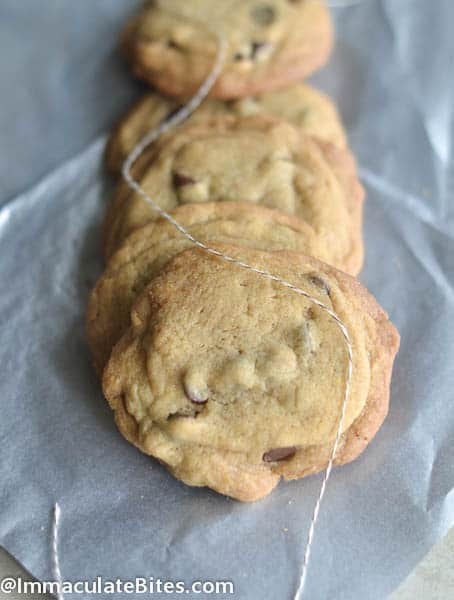 The richness of the brown butter makes this cookie taste -AMAZING! Give it a try- you wouldn’t regret it! 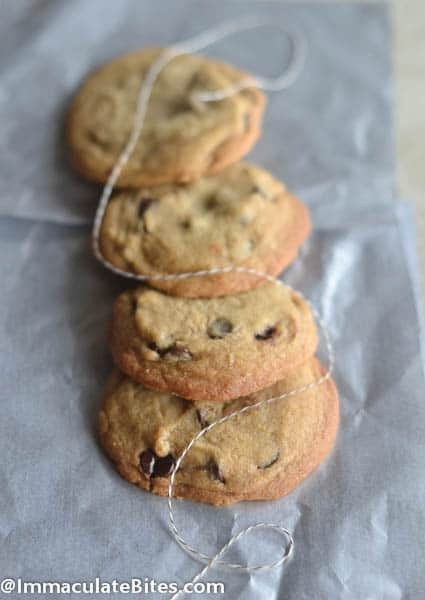 Perfect Chocolate Chip Cookies - addictive yummy cookies adapted from Cook's Illustrated recipe with a personal touch using rich brown butter for that crispy butter edges and soft center. 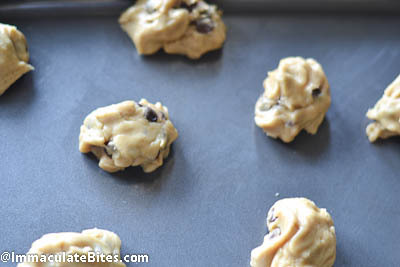 Adjust oven rack to middle position and heat oven to 375 degrees F . Line 2 large baking sheets with parchment paper. 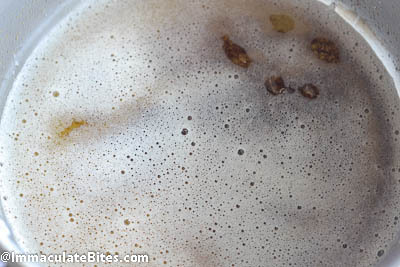 Whisk flour and baking soda together in medium bowl; set aside. 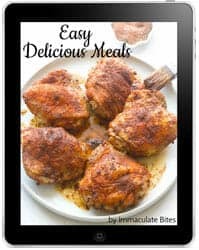 In a medium skillet or saucepan heat 10 tablespoons butter on medium-high heat, about 2 minutes until melted, swirl the pan around constantly until the melted butter is dark golden brown and has nutty aroma, 1 - 3 minutes. 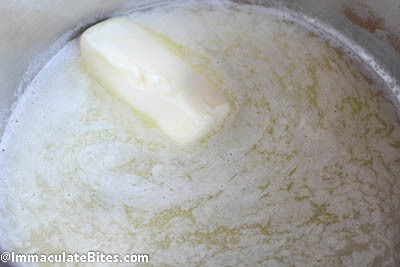 Turn off heat, and transfer browned butter to large heatproof bowl, using heat proof spatula or spoon, stir remaining 4 tablespoons butter into hot butter until completely melted. 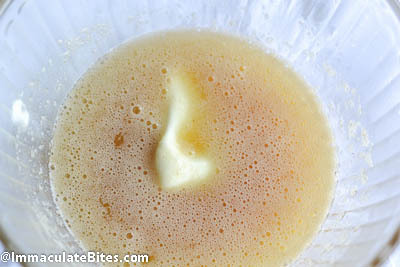 Add the brown sugar, sugar, vanilla, and salt to the bowl of melted butter and whisk until fully combined. 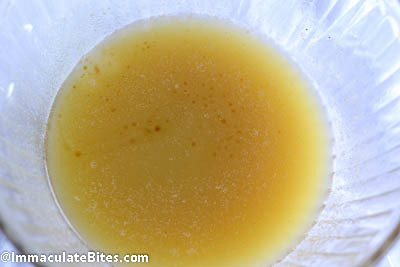 Add egg and egg yolk, whisk until mixture is smooth and no sugar lumps remains, about 30 seconds. 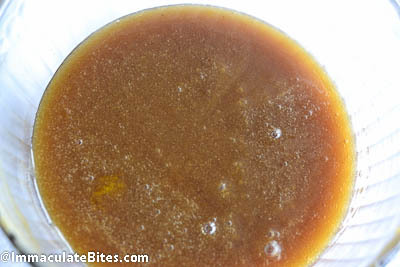 Let mixture rest for 3 minutes then whisk for another 30 seconds. Repeat this process (whisk and resting) two more times until you get a thick, shiny and smooth dough. 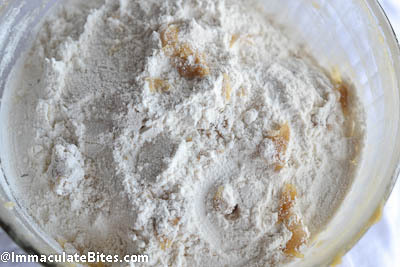 Divide dough into 16 portions, each about 2-3 tablespoons and place on baking sheets, 8 dough balls per sheet. 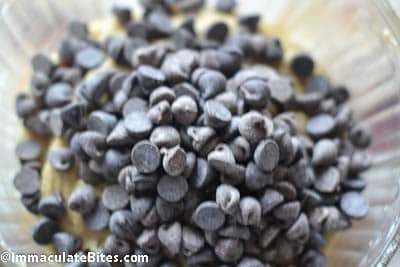 As someone who is slightly obsessed with anything food related tooo I urge you to check delicious days favorite Chocolate Chip Cookies. 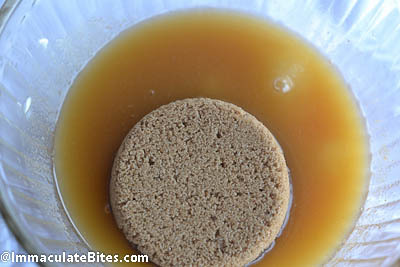 It’s similar to yours but uses bread Flour and she has some wonderful mix in options. I actually baked then this weekend using dried Cranberries and almost double the chocolate for a friend then remembered that Hmmmmm this is just like Ima’s choc Cookie…. And I checked and I was so right…. Lol. I must confess ur a gud teacher.I followed ur steps carefully wen making puff puff and it came out beautifully well.I’ll try dis cookie recipe soon I know it will turn out well too.am very grateful.I wouldn’t mind u sending me recipies of snacks.